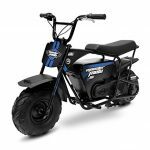 A 12 Volt Ride On Motorcycle is going to be great option for your child’s first electric mini bike. 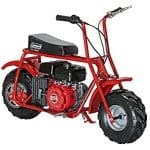 These electric mini bikes don’t go too fast and even come equipped with training wheels so that your child feels comfortable while learning to ride. 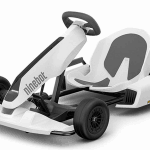 Most all 12 volt motorcycles have an easy to use foot pedal that acts as the throttle. 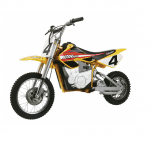 Prices for these mini bikes can range anywhere from $100 to $400. The difference is price is going to have a lot to do with the specific features that you are looking for. 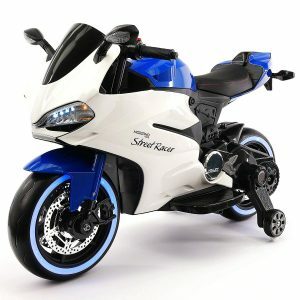 Some of the features that you’ll see on some of these 12 volt ride on motorcycles include things like LED lights, sound effects and even MP3 players. 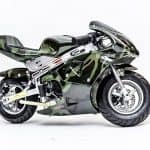 The motorcycles packed with the most features and also the highest price tags are going to be the Ross Motors BMW Police Bike and the Moderno Kids Street Racer Motorcycle. 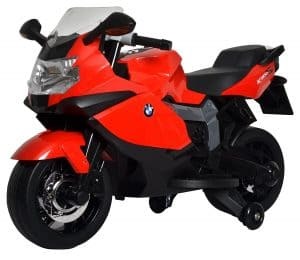 If you’re okay without having all of the bells and whistles and looking to save a little money, the BMW Motorcycle by Best Ride On Cars is a great choice. 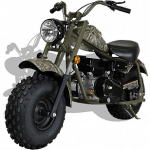 The most affordable of all the 12 volt motorcycles in this review will be the Best Choice Products 12 Volt Chopper. 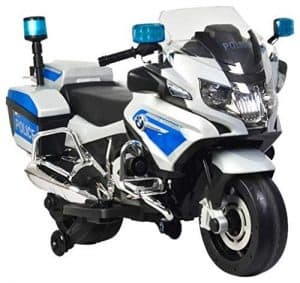 Let’s start this 12 volt ride on motorcycle review with the Rosso Motors BMW Police Bike. One of the best features of this BMW Police Bike has to be the lights and sounds. It has a key start that makes the sound of an engine along with working lights and other cool sound effects. This motorcycle also has 3 speed adjustments between 1.9 mph and 2.8 mph. To operate the BMW Police Bike, simply push the foot pedal throttle. Who is the Rosso Motors BMW Police Bike designed for? The BMW Police Bike is recommended for ages 2 to 6 with a maximum rider weight of 66 pounds. How much does this Rosso Motors 12 volt ride on motorcycle cost? The BMW Police Bike is going to run you under $350. Where do you buy this Rosso Motors ride on toy? 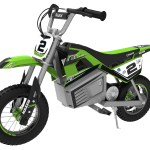 The Moderno Kids Street Racer is going to be one of the best 12 volt ride on motorcycles! This electric ride on toy is packed with features like LED wheels, integrated sound effect buttons and even an MP3 player. 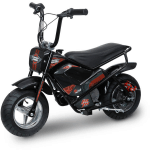 The top speed of the Moderno Kids Street Racer is 4 mph with a ride time of up to 1.5 hours! This kids motorcycle also uses an easy to use foot pedal throttle. Who is the Moderno Kids Street Racer Motorcycle designed for? 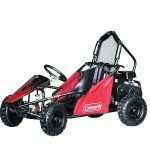 The Moderno Kids Street Racer is recommended for ages 3 to 6 with a maximum rider weight of 66 pounds. How much does this 12 volt ride on motorcycle cost? 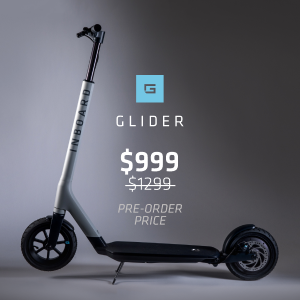 The Moderno Kids Street Racer is going to run you under $350. Where do you buy this ride on toy? Now, let’s take a look at is the BMW Motorcycle from Best Ride On Toys. 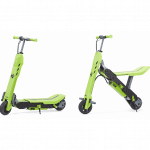 This electric ride on toy is not going to have all of the bells and whistles that you’ll find on the Moderno Kids Street Racer, but you can pick this bike up for quite a bit less money. The BMW Motorcycle still features a horn, lights and sound effects. The top speed of this ride on toy is 5 mph and you will have the color options – red, blue or white. Who is the Best Ride On Cars BMW Motorcycle designed for? The BMW motorcycle by Best Ride On Cars is recommended for ages 3 and up with a maximum rider weight of 65 pounds. How much does this Best Ride On Cars 12 volt ride on motorcycle cost? The BMW Police Bike is going to run you around $200. 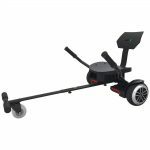 Lastly, we are going to take a look at the Best Choice Products Chopper. 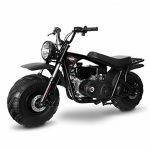 The Chopper is going to be the cheapest ride on toy in this review. 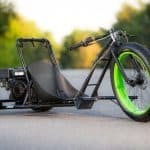 One of the most noticeable differences of this motorcycle is the fact that its actually a 3 wheeler, not the typical 2 wheeled motorcycle with training wheels. 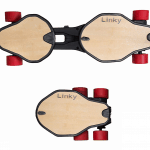 It has a top speed of 2.5 mph and is available in black or red. Who is the Best Choice Products 12 Volt Chopper designed for? 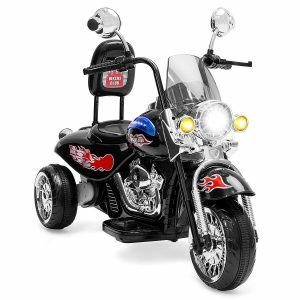 This kids 12 volt ride on motorcycle is recommended for ages 3 and up with a maximum rider weight of 55 pounds. How much does this Best Choice Products 12 volt ride on motorcycle cost? This Chopper is going to run you under $150. Thanks for stopping by and checking out our 12 Volt Ride On Motorcycle Top Picks ! 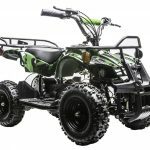 Be sure to check out some of these other great action sports toys brought to you by Wild Child Sports!